What could possibly be more fun than having your own cupcake shop? Well it’s got to be having your own cupcake truck! 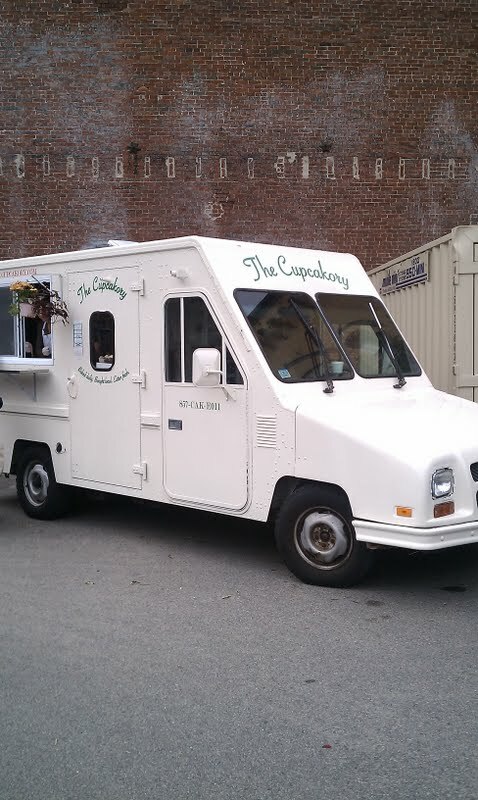 I mean it would be pretty cool to be an ice cream man driving that truck around (minus the Pop Goes the Weasel music playing constantly) to have people run to you for ice cream. And, I mean cupcakes are totally waaaay better than pre-packaged ice cream treats anyway. It would be the best of both worlds of ice cream man and baker. 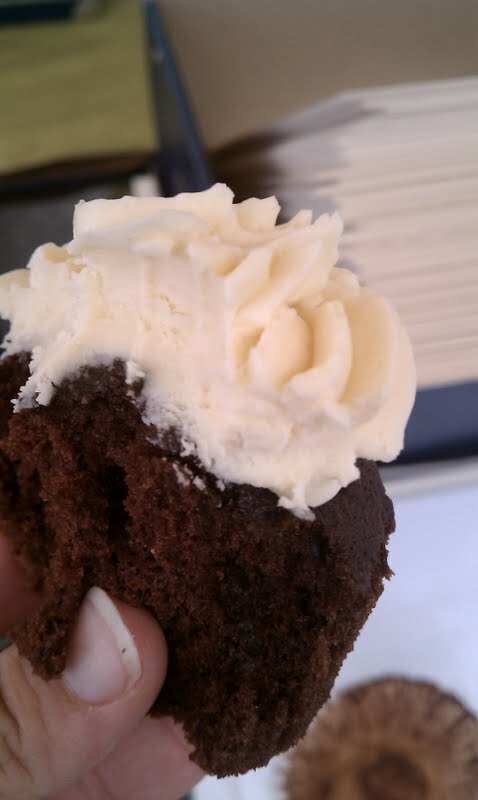 I actually saw my first ever cupcake truck this afternoon at the SOWA when I was there visiting my friends who take amazing photos and have a booth called SuMa Photography. I almost stopped dead in my tracks when I saw the Cupcakory (notice this is quite similar to my imaginary cupcake shop’s name: the Cupcakery) and just stood there and pointed at it for a few minutes. I mean first of all, how cute is that truck? There were other food trucks there but this one just literally takes the cake. I loved their little window showing off their fresh made cupcakes and the planters they had hung at the ordering window were absolutely adorable. They had several different kinds of cupcakes I could have sampled but the ones that really stuck out to me were the French eclair and the salted caramel cupcakes. I had trouble deciding between both and believe me I wanted to try both but after having breakfast not too long before, my stomach would only let me eat one cupcake. After much debate (and this really was a hard choice), I went for the salted caramel cupcake and paid the friendly woman at the window $2.75, which is pretty average as far as cupcakes are concerned, and went on my merry way to eating it. So what was the verdict on the Cupcakory’s salted caramel cupcake? Delicious! This was honestly one of the best bakery cupcakes I’ve ever had, and if you know me, you know I’m SUPER picky about my cupcakes (I like to pretend I know a thing or two about good cupcakes). First, the cake was perfect. It was a light and fluffy chocolate cake and wasn’t dry at all which I’m usually pretty critical about. It reminded me of the one bowl chocolate cupcakes from Martha’s cupcake book, which come out absolutely perfect every time. Now, on to the frosting. This was the salted caramel part of the cupcake. It was a caramel buttercream with a hint of salt. The frosting was nearly perfect too. It was a delicious smooth frosting that was perfectly sweet without having that gross grainy texture or a greasy aftertaste. The only thing I thought was missing from the frosting was a little more of the salted taste. It was great frosting but for salted caramel, it could have used just a bit more. 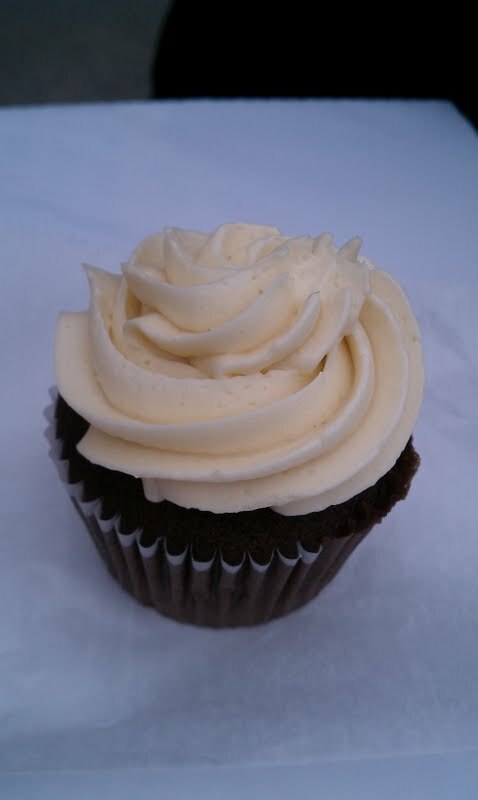 Maybe I’d add a little sea salt garnish on the top of the cupcake…delicious! 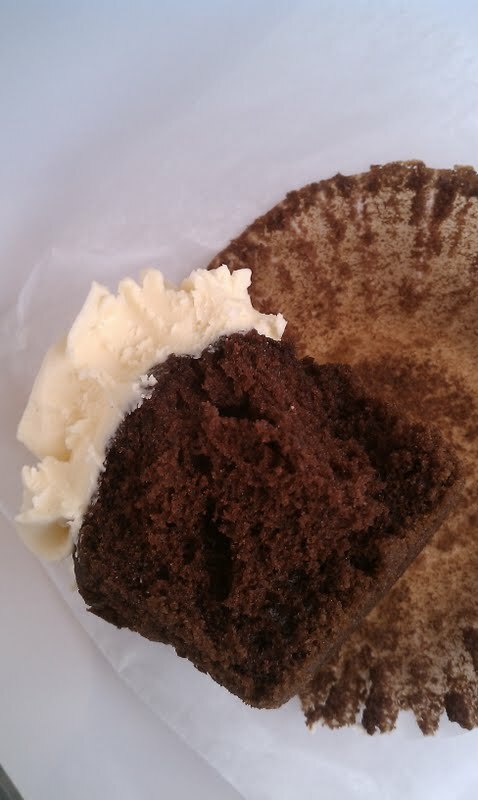 This was clearly a great cupcake and the idea of a traveling cupcake shop is awesome! These were definitely much better than the cupcakes from the Bakery Who Shall Not Be Named (but I’m not too nice to link to them) who have some pretty awful cupcakes. 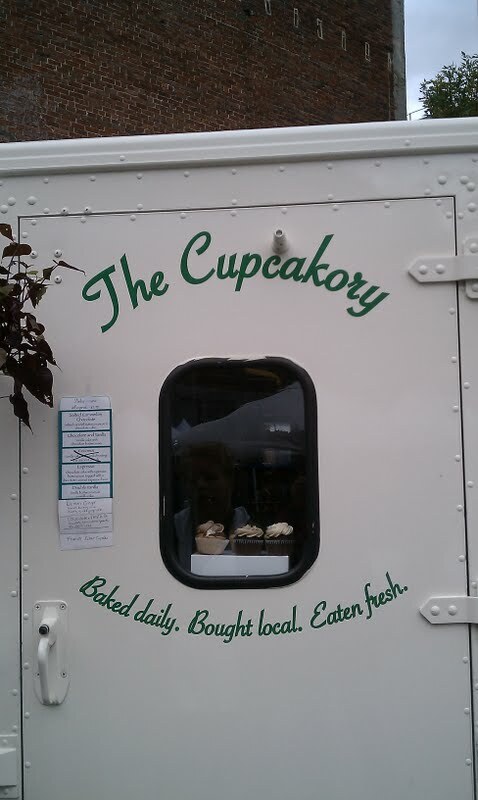 It was a perfect fall adventure to SOWA to get such an amazing cupcake! Everyone must look out for this truck around Boston.